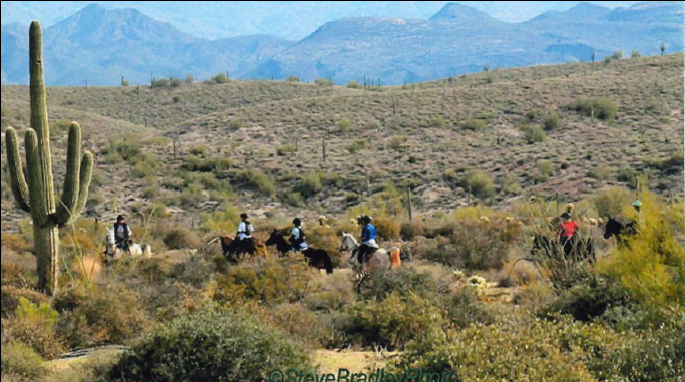 Lead Follow Or Get Out Of My Way ride @ Bumble Bee Ranch in AZ is only 3 weeks away on Jan 5th 2013. Bumble Bee Ranch is located approximately 50 miles north of Phoenix, 100 miles south of Flagstaff. Avoid a $15.00 late fee and register by Dec 28. We have to limit the ride to 99 riders for permits no exceptions. If the ride is full we will have to turn you away. Make sure you get your entries in. Bumble Bee ranch provides restrooms and showers included with your ranch entry fee $7.00 per vehicle per day or $10.00 per vehicle per night. The ranch offers a variety of horse pens, stalls rentals, and RV hookups for pricing and availability contact Kelly at (623) 374-0002. We will provide for riders a spaghetti dinner under the pavilion Friday night. The ranch also offers breakfast, lunch and dinners that can be purchased in advance by contacting Kelly at (623) 374-0002. This is a amazing location with wonderful amenities and stunning desert trails. Please join us for this inaugural ride. You will never be the same once you ride Halloween on Horseback at Outback Station. You and your horse’s life will hang in the balance as you flee from crazed bunny rabbits only to find your self face to face with a ravenous man eating tree squirrel. The rest is to horrible to mention. Only the bravest horse and rider’s will challenge this Endurance ride. WHERE: Central Oregon, drive 25 mi south of Bend on Hwy 97 to LaPine then 1 mi south of La Pine Turn onto Hwy 31 – go 25 mi- turn N. into drive. TRAIL: 50 /55 mile loop of fabulous footing in beautiful pine country. Water every 8 miles or less. CAMP: Flat wide open field with people and horse water throughout camp. MAKE SURE YOU FILL HOLES YOUR HORSES DIG AND SPREAD ALL HAY AND MANURE !! (our horses run in the field after every one is gone) Something TASTY will be prepared for afternoon/dinner both days. ENTRY: $75.00 all distances Jr’s ride FREE. Don’t forget to look at our beautiful Sport horses ½ and purebred Sweepstakes Arab’s Bred to perform. INFORMATION in this flyer is subject to change without notice. SW: Top 10 Reasons to ride the Lead Follow or Get Out of My Way Ride! Entries received by Nov 08, 2012 take $10.00 off entry fee. Less than 1 month away. Stephanie's top 10 reasons to ride the 75 @ Lead, Follow or Get Out of My Way! McDowell Mt. Park, Fountain Hills Arizona, November 17, 2012. 7. Trail is a true 75 miles. This way you will be able to accurately rate your horses performance for moving up to 100's. If you don't want to ride the 75 keep in mind we have the 50, 30 and 12 mile fun ride available also. For flyer and entry go to http://aerc.org/Calendar/2012LeadFollow.pdf. Any questions feel free to contact Jodie Dukerich, jmdukerich@cox.net or Lancette Koerner, lancette@cox.net or me at luv4riding@aol.com. We are so fortunate to have photographer Susan Kordish to take photos at the ride. Many of you have seen her work as covers in Endurance News. Susan has been published in Endurance News, the Horse, as well as many other horse publications. Susan's photos can be viewed and purchased at www.azcowgirlphotography.com her email is cowgirlphotography@hughes.net. IMPORTANT NOTICE: The Jo Tate Fall Paradise Endurance Ride, normally held near Cassville, Missouri is Moving (temporarily) to Lake Carl Blackwell, near Stillwater, Oklahoma. Dennis and Linda Tribby, the directors of The Haunting Endurance Ride have agreed to hold a Ride and Tie. The date for the R&T is October 27, 2012, and the race is held near LaPine, Oregon, located just south of Bend. The Jo Tate Fall Paradise has changed location this year and will be at Lake Carl Blackwell. I've been scrambling to find a spot to have this ride since it was already sanctioned and no one else could have that weekend at this late date. With help from Susan Young and others we have come up with some trails that are established and would welcome our event there. Attached are the ride flyers and an entry form. Thank you for your patience with this. I will welcome any help as I am new to this area. Please spread the word, forward this to anyone who may not be on any of the group mailings and be sure to RSVP. SW: Lead Follow or Get Out of My Way 2 months away! Lead Follow or Get Out of My Way ride November 17, 2012 at McDowell Park in Fountain Hills, AZ is only 2 months away! We are once again having a AERC and AHA sanctioned 30, 50 & 75 mile ride as well as a 12 mile fun ride. We are limiting the ride to the first 100 riders/entries so make sure to get your entry in and also get $10.00 off your entry if received by November 8th. All juniors receive $10.00 off. Please pre register. Come join us for a beautiful and scenic desert ride with views of Fountain Hills, AZ. Enjoy mostly groomed trails with some rock and sandy washes. This is the last ride of the season for the Southwest Region. Any questions feel free to contact Jodie Dukerich, jmdukerich@cox.net or Lancette Koerner, lancette@cox.net or me at luv4riding@aol.com. We're gearing up for the 2012 Owyhee Canyonlands ride! September 25-29 near Oreana, Idaho. Ride veterinarians are Robert Washington DVM (head vet), Mike Foss DVM and David Hayes DVM. We'll have 5 days of riding, 5 days of historic trails and ranches and wild Owyhee country to ride in. Day 1 - Spivey Ranch. *50 miles only. we've been invited to ride through the Spivey Ranch - an isolated, off-the-grid, 300+ acre ranch along a section of Castle Creek just above the canyons. The ranch will supply hot dogs and refreshments during your one hour hold, and give us access to the trail following the Castle Creek drainage to Crazy Woman Mine. Day 2 - Hart Creek. 25 and 50 miles. One loop will go south to the Hart Creek canyon - rocky but beautiful. One loop will go north into the Birds of Prey Conservation area - good footing, cow trails, jeep roads and sand washes. Day 3 - Joyce Ranch. 25 and 50 miles. Ride north along single track and jeep roads, some sand wash. Cross Hwy 78 for a one hour hold then drop down and ride through the historic Joyce Ranch (founded in 1860) and into Sinker Creek Canyon. Follow single track and jeep roads back to camp. Day 4 - Wildhorse Butte. 25 and 50 miles. Ride north into the Birds of Prey Conservation area. Excellent footing, single track, jeep roads and sand washes. Ride to the Snake River and around Wildhorse Butte. One hour hold at Rye Patch. Day 5 - Sinker Canyon. 30 and 50 miles. A spectacular trail following Sinker Creek as it winds north, through steep canyon walls and cottonwood trees. After a one hour hold 30 milers return to camp, 50 milers ride up to the juniper foothills of upper Bates Creek, then return to camp above Picket Creek Canyon. Saturday night we'll have a party and have overall awards. Plus special awards and recognition for the riders and horses that have been riding the Owyhee Canyonlands trails for many years and thousands of miles!! Food will be provided by Wynne Teeter (healthy home-cooked family meals), her mom Diane, and Melissa Hendricks (a cook from the Olive Garden). Joel Teeter is making a special batch of home-brew beer from the hops we grew in the garden. It's gonna be great! Breakfasts (including New Orleans style beignets) will be available a la carte, or complete continental breakfasts. And ESPRESSO! $6. Lunches available - sandwiches on home-made bread, burgers and fries if you must. **We can pack a lunch for you to have at the vet checks if you want. $7. Ride management will provide hotdog lunches Tuesday and Saturday. Dinners - check out the menu on the ride page! Dinners free for riders the day you ride, $9 for purchase. Free for staff and volunteers. This might be our last Canyonlands (we're still working on holding it late in October next year, pending) - but come on out and enjoy our last September Canyonlands party! Ride Bear I & II 25/50 on September 22-23 near Gilroy, California, at Coyote Lake - Harvey Bear Ranch County Park. Come join us at this really nice AERC Sanctioned ride in the foothills of the greater San Francisco Bay area. Super great food, some new trail, and beleive me it was gorgeous the last time i did it. and the people are super nice. And did I mention super yummy food? http://www.youtube.com/watch?v=w7e39khFEus - youtube video of the trail. Come out and enjoy this beautiful location! WELCOME RIDERS to the inaugural Red Rock Rumble 50 and 30 mile endurance ride. This area will be familiar to many folks who have enjoyed Red Rock rides in the past; however, we are using different areas as well. So while it will be familiar it will also be new. Through the generosity of several local ranchers, we will have lots of water available throughout the ride. It is the consideration of another local land owner that we were able to get you in to some really great areas. This is a wonderful time of year to see the deer, antelope and wild horse herds. There can be some grass along the trail depending on rainfall. CAMP: The camp is bare bones. There is horse water available, but for the most part you need to plan on bringing what you need. There will be no camp fires allowed. Parking is very limited so if you can trailer-pool then please do so and plan on parking conservatively. DIRECTIONS: Ride camp is located off Red Rock Road, just a little north of Reno. Take the Red Rock Exit off US Hwy 395 and head east 15 miles. There will be ribbons and signs telling you where to turn right onto a dirt road. Follow the dirt road about a mile to camp. This is a single lane road and will be entrance only on Friday/Saturday am and exit only on Saturday pm/Sunday. THE RIDES: There will be a 50 mile and 30 mile ride. The lunch stop for the 30s will be an out hold. Light snacks and beverages will be available as well as water and hay for horses. The 50’s will have a short hold in the same area. Lunch stop for the 50’s will be in camp with light refreshment offered. The 50 mile ride consists of a 30 mile loop and a 20 mile loop. The 30 mile ride consists of a single loop trail with a hold at the 15 mile point. The trail is almost entirely sandy jeep roads and sandy single track, there are hardly any rocks. You will pass through a meadow (or maybe 2) that can be wet depending on the weather and there is usually a bit of trail grass along the way as well. There are no significant water crossings but if we have a wet fall there can be very small (i.e. less than 12 inch wide and 3 inch deep) creeks. MEALS: We will have a wonderful dinner on Saturday night. Each rider will get one meal ticket included with their entry. Additional tickets are available at $10 each. The dinner meal will be provided by Boy Scout Troop 500 of Reno Nevada. This is fundraiser for them as they are trying to earn money to attend a high adventure camp next summer. The scouts will be in camp and at the vet checks all day to help you out in any way they can. This scout troop has a focus on outdoor activities and does community service in this area. Several of them are planning Eagle Scout projects that will assist the BLM with maintenance efforts in the area of this ride. SANCTIONING / RULES: Both rides are sanctioned by AERC. The 50 mile ride is sanctioned as an AHA local ride. PRE-VET CHECK will be held Friday 4pm-7pm. All horses must be vetted and numbered before starting the ride. START TIMES: 6:00 a.m. for the 50 mile ride ~ 7:00 a.m. for the 30 mile ride. AWARDS: Completion awards will be given to all finishers of both rides. First Place and Best Condition, Top 10, first in each weight division and first Junior will be awarded for the 50. Horse of Excellence will be awarded for the 30 mile. We've lost some trail access for the October 27-28 Owyhee Hallowed Weenies near Oreana, Idaho out of Regina's place (to Birch Ck Canyon) so we're going to do the ride out of the Teeter base camp. The 30/55/75 on Saturday will leave from Teeters, have out vet-checks at Regina's place, and return to Teeters for the finish. Ride the rim trail above the badlands in Birds of Prey, and loop around Wildhorse Butte. ***!!! Start times might change from those listed on the website once we figure out the logistics. Stay tuned. Sunday 25/50 will loop out of Teeter Ranch - maybe over to Sinker Canyon, or Booby Rock - we'll figure that out after Canyonlands. But it won't be too tough. The early registration fees end next Saturday, July 7th. Save money by registering online now! Thanks to those of you I have already heard from. Many of you told me that you know of riders planning to come to the ride. Remind them to pre-register! This is the only way for me to know how many awards and how much food to have on hand, not to mention the number of vets. ... a sweet ride through the prettiest part of the trails. Well marked, great footing, a breezy 9 miles and you're back in camp for dinner! Pre-ride entry fees have been lowered to $85. Pre-Registration closes on July 23, 2012, after that the entries fees jump to $100. Make sure you pre-register to make Friday night's registration quick and painless for everyone. Please use this year’s Registration Form. Wild Bill Bivens can’t make it this year so NO MEALS will be served - make sure you pack a cooler/refrigerator full of food. Certified Weed Free Hay is requested. You must scoop your poop. We will have dumpsters for poop ONLY available at ride camp. Check back at www.pinkflamingoclassic.com for updates and for registration forms! It's not too late to register for the Camas Creek Canter, July 21 and 22, 2012, in Potomac, Montana! Early entry discount ends July 7th. Online registration is available at the ride website www.montanaendurance.com. Summer is beautiful in Montana! THE 100 MILE RIDE MUST HAVE 10 OR MORE HORSES PRE-REGISTERED BY JUNE 25 OR WE WILL CANCEL THE 100 MILE RIDE. The USA Southeast Young Riders Team – Our FEI rookies – earned a Team Silver Medal at the North American Young Riders Championships 75 mile race in Lexington, KY in July 2011! We are working hard to build more teams to take from our OFFICIAL USA SE Zone in July 2012 so thanks for coming! Trails: All trails are hard and soft sand shaded primarily by pines and old growth hardwoods. Corrals: Covered corrals and corral panels are available. Limited number of covered corrals at $16 per night and four-panel corrals are $9 per night. To reserve panels and covered corrals see the ride registration form. Camping/RV Park and Lodging: To reserve an RV hook-up, see the ride reservation form. Modern bath house on grounds. See http://www.broxtonbridge.com/trail/ for additional info on facilities at the Trail Ride/RV Park. Camp will open Friday, July 6th at 10 am (100 milers may arrive on Thursday without paying extra camping). Primitive camping for $10 per night is available on the banks of the Salkehatchie River for early arrivals or late departures after noon on Sunday. Historic lodges which are ON THE GROUNDS are $75 per room per night. For ROOM reservations call 803.824.9262. Cancellations: If you should have to cancel, withdraw, or pull before crossing the start line, entry fees will be refunded, minus the $20 (per day) non-refundable portion of your entry; however, no-shows/no-calls and withdrawals or pulls after crossing the start line will not receive any refunds. Meal tickets are non-refundable unless your ticket can be sold. Cancellations must be made directly to ride management. Farrier and Vet Fees: Riders will be responsible for any individual farrier or vet services. Junior Riders: Riders must wear helmets and be accompanied by an adult over 21. Awards: Daily completion awards to all. Top Ten awards for both 25/50/100 along with Best Condition in each distance. Fun ride completion awards are also given. Registration/Fees: Ride applications received on or before June 25, 2012 must include a $20 non-refundable deposit to avoid a LATE charge ($20 per rider) or we must have written notice (email) that you are coming and will pay the non-refundable deposit if plans change. $15 fee charged for all competition riders who are not current members of AERC. On-site registration begins Saturday at 1 pm. Vet in to follow. Each 30/50 ride entry is $110 to include a Saturday afternoon meal and primitive camping for two nights. Fees for juniors are $55 for either distance 30/50 and for the 15 mile fun ride. The 100 mile ride entry is $150 or $75 for juniors. The RV/Park and trails open daily. Early arrivals are welcome although you are responsible for additional primitive camping fees before Friday night or after Saturday night, unless you are in the 100 mile ride. GREAT FISHING available for non-riding family members! Food: Each rider will receive a meal on Saturday afternoon. The Broxton Bridge Snack Shack will also be open for snacks on Friday and Saturday and Sunday. Ranger & Mary Farris – Super Crew – Hospitality Truck on Trails! Dr. Ken Marcella, GA Dr. Shannon Baker, NC plus others! Registration: Opens around 10 am on Saturday – Vet in to begin around 1 pm or so, depending on the number of entries in each distance! Please come and join us for a fun time in Gardnerville, Nevada on June 30, 2012 for the Pine Nut Express Endurance ride, AERC Sanctioned / AHA Region #7 Local Ride 25/50 miles. TRAIL: The rides will have all vet checks back at ride camp. The trail is of moderate difficulty in the Pine Nut Mountain Range. There are several rocky sections on all the ride loops. The trail has a variety of sandy and rocky terrain in wooded juniper and pine surroundings. Hoof protection is required for the 50 mile ride, either shoes or some sort of hoof protection/boots, pads recommended. Elevation ranges from 4,500 to 6,000. 25 MILE AERC LD RIDE: The 25 mile trail is two loops with all vet checks at ride camp. This limited distance (LD) ride is being held to promote trail use and trail awareness among local horseback riders. It is intended primarily as a training ride for new riders and young or inexperienced horses. There is no emphasis on winning. Every successful finisher will receive a completion award. VET CHECK: Friday, June 29, 2012, 4:00 p.m. to 7:00 p.m. All horses must be pre-vetted and numbered before starting the ride. A pre-ride meeting will be held approximately at 7:00 p.m. AWARDS: Completion awards will be given to all successful finishers on both rides. There will also be awards for the Overall Winner, 1st Junior, Best Condition and Top Ten for 50 mile ride. A Horse Excellence Award will be awarded among all horses completing the 25 mile ride. Please pick up your awards if you are not staying for the awards presentation, as they will not be mailed. DINNER/LUNCH: Friday evening dinner will be available for purchase. 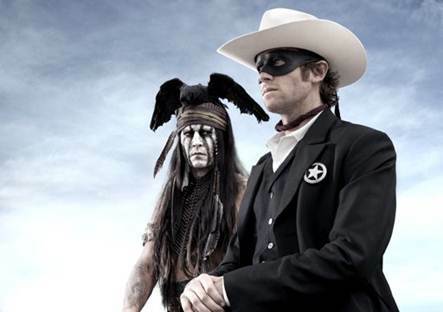 We will have the Washoe Indian Tribe’s famous Indian Tacos. Please plan on supporting our local vender. Many of the trails we will be crossing throughout the day will be on Indian land that they are allowing us to use. The Indian Tacos will be sold for $6.00 and the monies will be used for local Washoe Tribe children’s recreational adventures during the summer. Lunch will be provided on Saturday during the ride. Juniors ride discount is $30.00. All non-AERC members must pay an additional $15.00. Cancellations by 6/25/12 will receive a full refund. 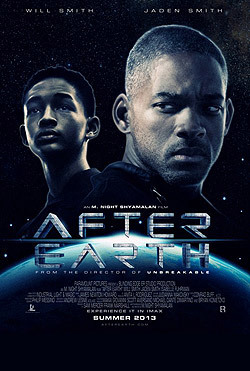 After 6/25/12 all but $25.00 will be refunded. No Shows will not receive a refund. A $25.00 fee will be charged for any returned checks. Checks may be cashed before the ride. Entry fees go up after 7/7, so register early! The ride dates are July 21st and 22nd in Potomac, Montana. We look forward to seeing you! If you have ideas of possible volunteers for the weekend, or of businesses interested in sponsoring the ride, please contact me. Here's another reminder that the 20th Anniversary of the Jo Tate Memorial I & II , 15/25/50/100 miles is less than 2 weeks away. Please note that we've gone back to a 25 instead of the 35 miles so that you can enjoy both days riding these beautiful trails. This ride is sanctioned by AERC, MOTDRA and OCER. Average temperature's for Memorial weekend are 77 high and 58 low. Price of fuel has been dropping so fill those tanks up and head to Southwest Missouri for a great celebration. We will be remembering both Jo Tate and Bud Crothers who has been a part of this ride since it's beginnings in the early 90's. Bring photo's, stories and something for the potluck dinner Saturday and Sunday evening and let's all share a good time. I've had some issues with Conservation on whose land we ride and I don't want to say that this might be the last year for this ride because I am willing to continue putting it on, but Conservation may not feel the same way so.......if you've been putting off coming to this ride, don't do it any longer. Make it this year!!!! Please RSVP as soon as possible. Let me know the day and distance you will be riding. Do we have any 100 milers interested yet. I need to know. Any volunteers are welcome!! I will be out of the house and out of phone range this next weekend and then will be gone again by May 23. My daughter, Allison will be checking emails and will be helping me out from home. Cell phone reception is off and on but I will try to respond when and if I get your message. Thank you so much and see you soon. Only four entries are left for the Purgatory 60, which will be held on September 8 in the San Juan Mountains north of Durango, Colorado. A rare opportunity to camp on the Tevis trail with friends and family. Come to the Endurance 101 Clinic sponsored by Pacific Northwest Endurance Rides! Clinicians Samantha Fairfield of SGF Sporthorse Training and Carol Giles of Sabiq Arabian Ranch - FEI Endurance Rider with over 10,000 AERC miles - and veterinarians experienced with endurance horses will hold educational sessions on Saturday. 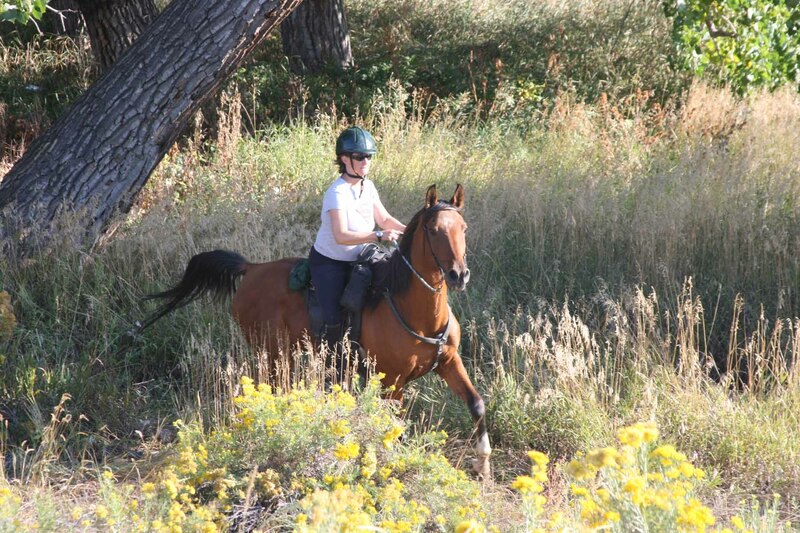 Sunday a simulated endurance ride will take place over a short marked course with guides. Overnight camping at Cline Falls Ranch is available for an additional fee.